The Upper West Side and Central Park may be just minutes from Times Square and Midtown, but worlds away in neighborhood feel. 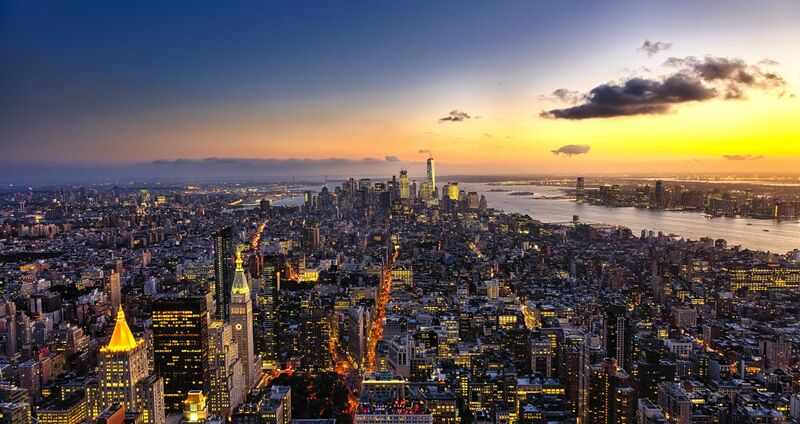 Step out of a taxi or come up from the subway in this storied neighborhood and experience what New York is all about. 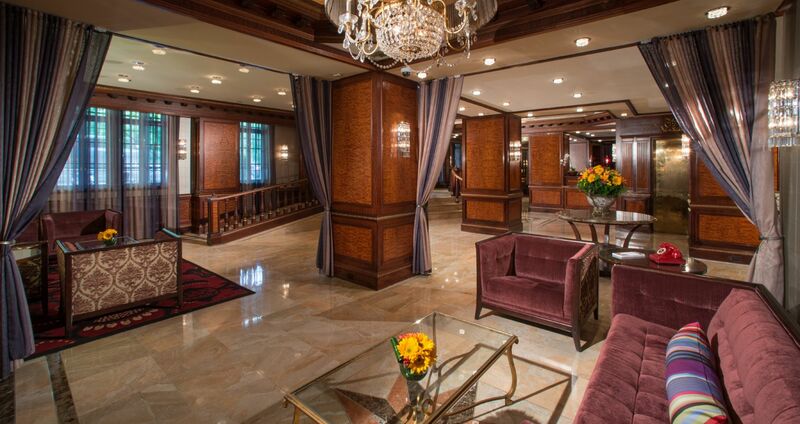 Here, the best restaurants, cultural attractions, architecture, and New York City parks await guests of The Excelsior. Explore our favorite Upper West Side attractions. You’ll find information on popular nearby attractions and things to do below. For further recommendations, insider tips or assistance with arranging tours or transportation, our concierge is your key to the best of NYC. Known for its colorful homestyle cooking, Sarabeth’s has served Upper West Side locals for more than 30 years. From coffee to cocktails, you can’t go wrong with breakfast, brunch, lunch, dinner, desert, or wine and cocktails. Pizza is the undisputed choice of snack for New Yorkers, and Patsy’s Pizzeria is the undisputed pizza dynasty in New York. First opened in 1933, it has become synonymous with authentic, Sicilian coal-oven pizza. Celebrities and people of all walks of life head here for a full Italian menu of appetizers, pastas, meats, and fish as well as the affordable wine list. Café Lalo is called the most famous café in New York for a reason. Featured in 1998’s You’ve Got Mail, the café is famous for more than a date spot for Meg Ryan and Tom Hanks, but also its delicious cakes, pies, and tarts, plus its international brunch and all-day lunch menu. There are plenty of bakeries in New York, but Levain is one of the best. Established in 1994 by two friends who wanted to create the world’s greatest chocolate chip cookie, the bakery is still around more than two decades later, proving that there’s nothing a little raspberry filling and powdered sugar can’t fix. Head to this local shop for carefully sourced and delicately crafted coffees. The spacious Irving Farm Coffee Roasters café on the Upper West side features a state-of-the-art La Marzocco MP espresso machine, perfect for getting a caffeine fix from 7AM-9PM. A distinct part of the American Museum of Natural History, the Rose Center for Earth and Space an extensive reworking of the Hayden Planetarium; including an entirely new structure that encloses the Hayden Sphere and several incredible new shows about Earth and Space. Opened in 1951, the Guggenheim is one of the best known museums in New York City, and one of the 20th Century’s most important architectural landmarks. The Guggenheim is home to a collection of Impressionist, Post Impressionist, early Modern and Contemporary Art. The first landscaped public park in the United States, Central Park was developed in 1853, spanning 843 acres of land in the center of Manhattan. The park spans between the Upper East and West sides of Manhattan between 5th and 8th Avenues and 59th and 106th Streets. The Central Park Zoo, ice skating rinks, model boat pond, horseback riding, and other activities can be enjoyed in Central Park. Lincoln Center is a 16.3 acre complex in Manhattan that is home to many prestigious arts organizations such as the New York Philharmonic, New York City Ballet, New York City Opera, Metropolitan Opera, and the Julliard School of Music. Lincoln Center is located between Columbus and Amsterdam Avenues from West 60th to West 66th Streets. The first landscaped park in the United States, Central Park has been the beating heart, or more appropriately, the lungs of New York since 1853. The park is massive, 843 acres to be exact, but you don’t have to go far from The Excelsior to explore our favorite parts. Strawberry Fields, a quiet, shady area honoring Beatle John Lennon, is just inside the 72 Street entrance. 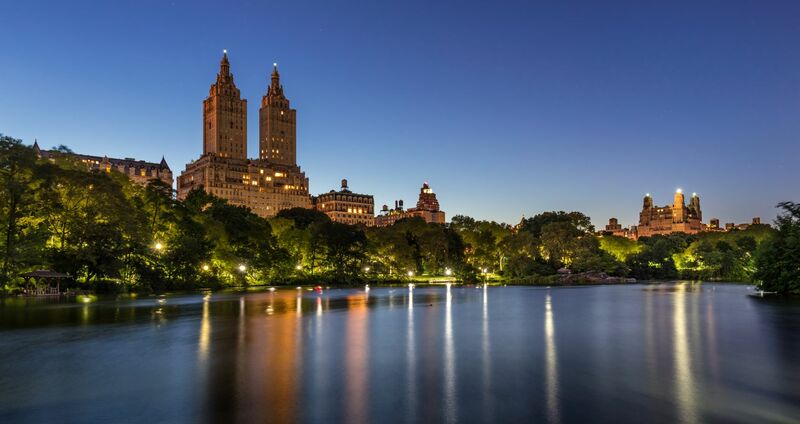 Enter the park on 81 Street, just steps from The Excelsior, to relax on the Great Lawn, catch a show at the Delacorte Theater, or continue walking east until you hit the Metropolitan Museum of Art. Built in the 1960s, Lincoln Center boasts some of New York’s most famous modernist architecture as well as world-class opera, ballet, and more. Its walls are adorned with Marc Chagall murals and, on any given night, the 16-acres of buildings are filled with art lovers headed to one of at least 10 performances. From ancient fossils to the depths of the oceans and the mesmerizing, astronomical scale of the Rose Center, the American Museum of Natural History contains more than 30 million artifacts covering all areas of our known world and universe. Just steps from The Excelsior, don’t miss this venerable New York City landmark that has been fascinating visitors since 1869. Founded in 1804 as New York City’s first museum, the New York Historical Society is the best place to discover the old New York. See George Washington’s inauguration chair, a 19th-century Tiffany ice-cream dish, and a leg brace work by President Franklin D. Roosevelt, a New York native. More contemporary offerings include a 1986 ceiling mural by the late renowned New York artist Keith Haring. A classic beauty by the same architects behind Central Park, this waterside park offers plenty of bike baths, playgrounds, and dog runs that make it a local favorite. From late March through October, don’t miss lively waterside dining at the West 79 Street Boat Basin Café.